Considered by many to be the magazine of record for ancient mysteries, future science, and unexplained anomalies, Atlantis Rising� provides some of the most astounding reading to be found anywhere. In case you may have missed it, in the past few years a virtual revolution has occurred in the way we think about some of the greatest mysteries in history and science. Such is the case with the discovery of Gobekli Tepe, a 12,000 year-old archaeological site of an unknown advanced civilization that could well change the timeline of human history. This book provides some astonishing evidence about several similar mysteries, and many of them are very hard to ignore. 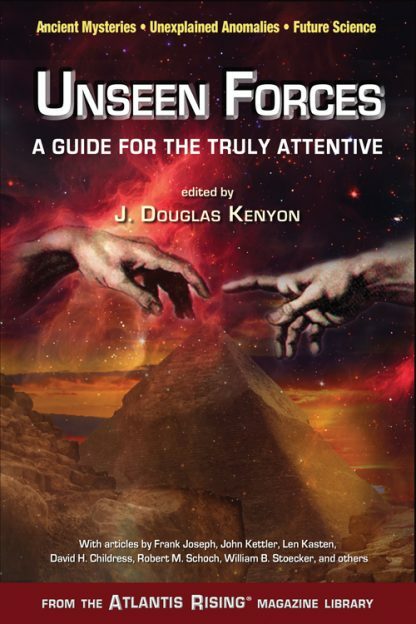 Editor J. Douglas Kenyon has culled from the pages of Atlantis Rising� magazine this collection of 34 concise and well-illustrated articles by world-class researchers and theoreticians who offer thought-provoking insights on a variety of topics that challenge conventional wisdom.